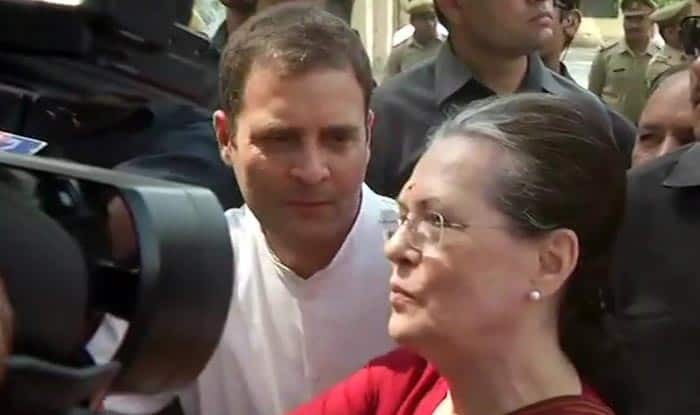 UPA chairperson Sonia Gandhi filed the nomination papers from Rae Bareli on April 11 for Lok Sabha Elections 2019. She will be contesting against BJP's Dinesh Pratap Singh. Sonia Gandhi filed nomination papers from Rae Bareli. Earlier in the day, the UPA Chairperson embarked on a 700-metre roadshow before filing nomination papers for Rae Bareli Lok Sabha constituency. She also offered puja at the Congress’ central office in the district before beginning the roadshow. Sonia Gandhi is trying to get re-elected from the seat the fifth time in a row. She was accompanied by son Rahul Gandhi, daughter Priyanka Gandhi Vadra and son-in-law Robert Vadra during the roadshow. The seat, where voting will be held in the fifth-phase on May 6, will see a straight contest between the former Congress chief and Dinesh Pratap Singh, who recently joined the BJP after leaving the Congress. The Samajwadi Party and the Bahujan Samaj Party have not fielded any candidate in this Congress bastion. Sonia Gandhi had won the seat in 2004, 2006 (bypolls), 2009 and 2014. Lok Sabha Elections 2019 are scheduled to be held in seven phases. The counting of votes will be conducted on May 23. The results will be announced on the same day.